I know its lengthy, but i couldn’t be bothered to break it up to another or write another day. Its kinda tiring. Hey, came across your site from Vr-Zone Forum. I’m a pretty new life planner from Great Eastern and I think you have provided very good insights for those that have no knowledge or wish to know more about how insurance can aid them in their life planning. I do agree too that buy term and invest the rest will be the most viable and practical option to the general public comparing to traditional life policies. do take note that such philosophy changes, as do the insurance industry changes. We do not know what new products that comes along will be able to alleviate concerns of term, concerns of ILPs and concerns of Whole Life. Government policies will also change this. Just like the recent Annuity deal (which i think is very detrimental), it could greatly affect your decisions. That is why you see I do have a limited whole life, though its not a large proportion. Very concised and educational, although I agree that DI is still in unclear waters. hmm shawn i wonder if that is the case. perhaps its really something that we will eventually end up paying for a large part of our life yet we won’t get to reap its benefits. While i may not understand the entirety of your detailed calculations, i believe i do understand and agree with your reasoning. It’s extremely insightful. Your arguments definitely hold merits and they’re points that i haven’t even begin to ponder myself. There’s a point that I would wish to seek your opinion and other readers as well. Although your reasoning of current value of monies vs future monies that are refunded to us either barely match up, or not at all(more often than not, to the insured disadvantage), how about the subject on the perennial “what-if”, which is what insurance is all about. Which is to say, assuming you have a “AIA S$ MoneyBack Protector 25” with a 25yr policy which you have a $100k claim on death. What if a death occurs to the insured, let’s say on the 12th year of the policy? Then the “current-value” of monies paid out on that 12th year would be a good gamble? I’m not clear on how to work the sums out but i’m quite certain that down the road, as the policy reaches maturity, the amount paid out on death would have significant “current-value” on the year a claim is made, assuming inflation remains a constant at 3%. So the gamble which you mentioned at the start of your article would really pay out at the earlier stages of the policy. Of course that is not what we hope for (no one hopes to buy a policy so as to die earlier to make that claim). If the calculation of annual inflation is taken into context, then wouldn’t a long drawn out policy be unbeneficial, compared to investments in let’s say our Government bonds? I would really love to hear from you on your thoughts about this to learn more. hi max, well i havent had the time for deep thoughts but i take it you are asking from a very alternative view and as such i will try to answer you as best that i could. the present value of the claims is higher if you make a claim early in the stage of the policy. that is to say if you cliam at 60 years old your 100k will defo be much less than your 100k when you cliam it at 30 years old. to get the amount at present value you can use the annuity formula to calculate your yearly premiums and approximate them to present value. also take your total claims (sum assured + cash value of whole life policy) and approximate them to present value. subtract the latter by the former and you have a comparison. hope i get that correctly. just to share why i’m not a fan of limited pay policies. 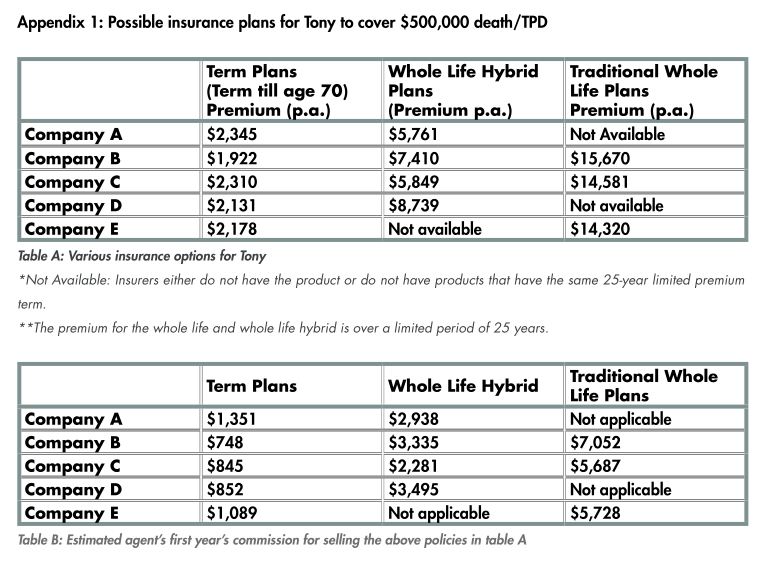 the premium paid is actually the same as a normal whole life policy if the coverage is the same. what limited pay policies does is to “squeeze” the whole life policies premium into certain number of term. so my point is just this, if any unfortunate events happen and upon claim that’s the huge diff. with the premium you are paying for limited pay policies, you could actually get more coverage pay out from a normal whole life policy. buying insurance is all about risk management. and this is the risk you are facing if you have gotten limited pay policy. do note that im not an insurance agent myself, just wish to share my views. I am a financial adviser. From my experience, I like to share my 2 cents ..
Knowlege empower us to be more savvy & meticulous. However, often we forget that we are human living in imperfection of emotional residue & feeling. (Whether you like it or not, it is the imperfection that make life wonderful & meaningful). My greatest fulfillment is to help people learn these imperfection in life, they make choice to select the route they choose. A million dollars is worthless in the possession of someone, compare to a penny to bring light & hope to a person in needs. While we look at investment return, needs base soluton in teh comfort of our air-conditioning room, do not forget we are human. Hi Cleto, thanks for sharing. but basically if i understand correctly is that a job of the financial advisor is not to focus on what is the best path but rather where they are at now and how to realign them to the path. 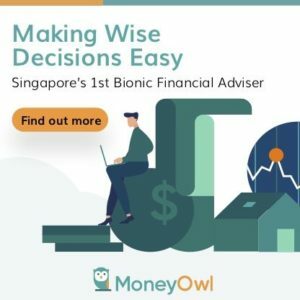 i find that there is always many ways to the goal but rather most advisors will advise them the labored path that suits the advisor more than the clients. the best path is never told. as such the client never knew that there is such a path. Hi Spencer, its ok you are probably still young to make yourself adequately covered. AIA recovery lifeline is an expensive policy in itself. my Asia life term is much better. Do discuss with me if you have any problems. I wonder if Asia Life still provide any term life policy. If so, please provide detail info at your convenience to my mailbox…appreciated. Thanks for this very informative article. 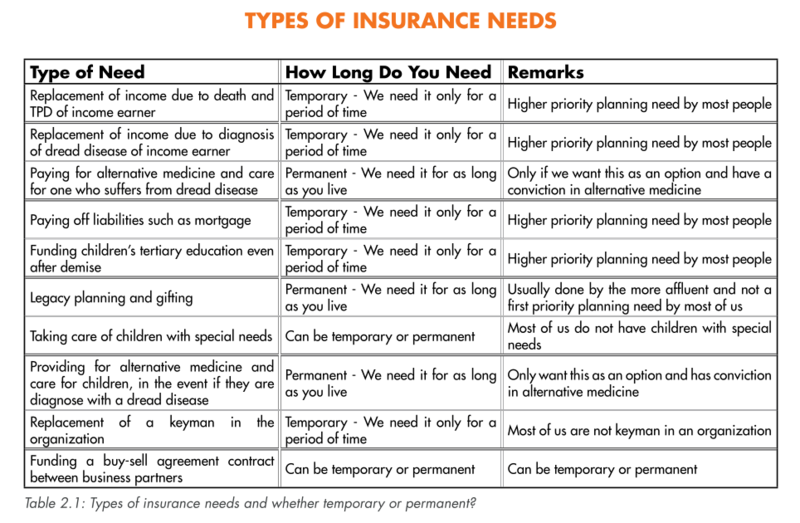 Just happened to stumble upon your site while searching for clues with regards to comparing different insurance plans for my needs. 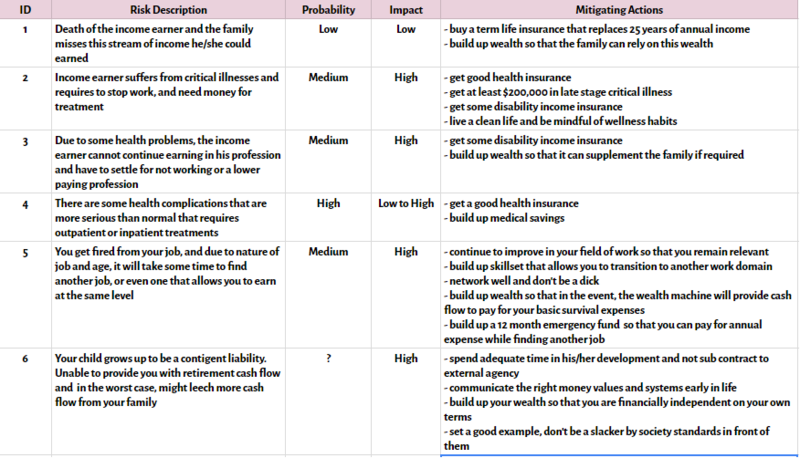 Looking at the above calculated comparisons of the few insurance plans that you come up with, I can’t help but wonder if I could obtain a spreadsheet on the above calculations? If not, could you advise me on how you calculate the “Future value for Yearly Cashflow” section? I am thinking of creating my own spreadsheet so that I could dissect different policies to find the one that is in alignment with my current plans. Hope to hear from you soon. hi Dylan, i think i lost that spreadsheet but now thinking back, i find that it is difficult to use a generic sheet to valuate it. There are many unknown costs and different years to maturity, all done so taht it is difficult for you to compare. Do look into the distribution costs and use present value computation to approximate the value. even then i do not put 80% trust into that figure. Your image showing the insurance needs at different life stages is very accurate but I think Disability Income is actually a very important form of insurance after medical coverage for working adults. I would personally list it as “High Priority” for the first two stages. Most people’s economic values lie solely in their ability to work. Hence, I believe it’s a very important policy to have for working adults. Hi Seth, thanks for visiting my blog. Disability income is very important, but it is not that expensive. Perhaps the probability of that happening is truely lower than critical illness. A very important policy that a lot of people overlook. Despite its relative affordability I’ve had someone tell me that it is expensive. Oh well. Anyway, disability income for some occupations is not very cheap. Hi Seth, i regreted not upping my coverage for disability income. now that i have undergone some hospital tests its not as clear cut to get it. well written, but i think u lack out a fantastic insurance company AXA. which have very good critical illness plans and early critical illness plans which is also very much affordable too. I have a very bad experience with life insurance and would recommend going for term + savings (or better, investment), because the sales cost of the life insurances are typically unreasonable. May I know what is the interest rate am I getting from these 2 plans ? use from the internet ? Hi Jasmin, thanks. You have been part of my growth as well. Hi Derrick, perhaps I wasn’t very clear. I see CI and Death coverage as 2 different purpose, or 2 different event triggers. There is a possibility that both events could stack on top of each other. The beneficiary of the CI is yourself, and your family. The Beneficiary of death is mostly your family. So its slightly different. When I was younger, I was not illuminated to see things this way. So I tot if i have 500k of coverage for all three areas I should be fine. So as I know better I realize the cost of CI is more, and perhaps i do not need until 500k. The cost of death coverage is less, and I could jack that part up.